Annotable is the best image markup app for iOS, and one of my favorite features is the ability to blur out content that you don’t want shared in an image. 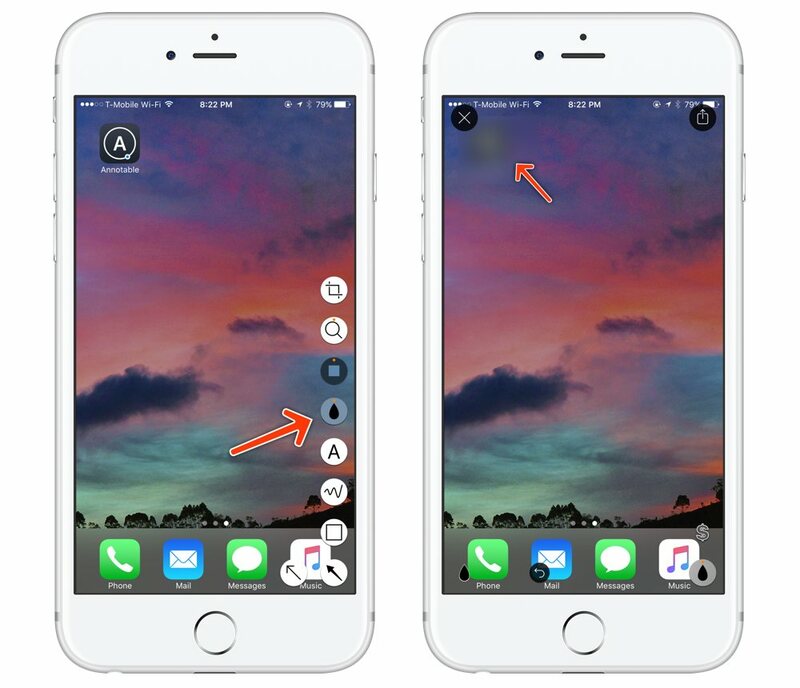 When you open up an image (or screenshot), tap the bottom right tool bar. Next, tap the fourth option from the top (it looks like a raindrop). This tool (which also requires a $1.99 in-app purchase) will allow you to blur out a section of your image. You simply tap and drag over the area you want hidden. This is great for blocking out personal information from images and screen shots.